Combo Dinner Tickets: Two Dinners / One Fantastic Weekend! Zenith Builders Banquet at the Elks Lodge (next to the airport) featuring a Zenith trivia game show and great prizes. BBQ dinner with contest awards presentation at the Zenith factory. The combination of dinners include a fun and informal gathering of Zenith enthusiasts, builders, pilots, and Zenith employees. Zenith Builders Banquet at the Elks Lodge (next to the airport) including some great door prizes. BBQ dinner, awards presentation, and music at the Zenith factory. Fun for all! 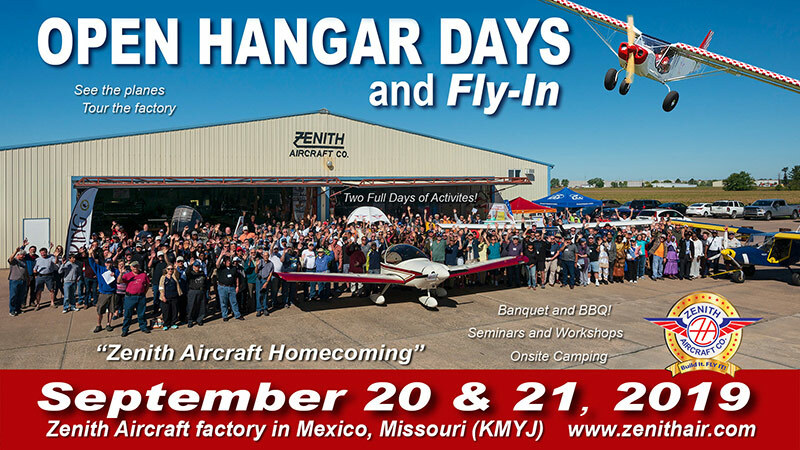 Note: The Open Hangar Days and Fly-In is a free event. The above Zenith banquet and BBQ tickets are to cover the cost for food.